Aloha shirts, grass skirts, flowery leis and tiki torches... 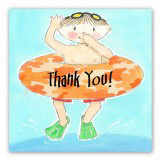 The luau is a colorful and casual party theme that children of all ages are sure to enjoy. Whether you’re celebrating around the backyard pool on a hot summer day or chasing away the winter doldrums by taking tropical vacation in your living room, we have some helpful suggestions to transform your home into a Polynesian paradise. 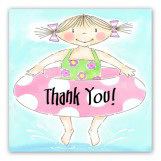 Follow Polka Dot's Summer Party Ideas on Pinterest. One of the best theme ideas for a summer soiree is the ever-festive luau party! Grass skirts, tiki torches and of course, flower leis are just a few of the fun and celebratory adornments that can liven up any luau party. For those who are looking for a truly unique celebration idea, then this is the party for you. 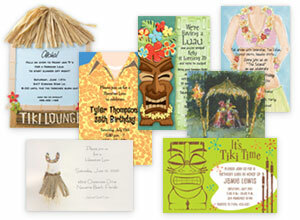 If you are searching for the best in summer party invitations, then our collection of luau invites cannot be beat. Start perusing our tropical-themed invites and get ready for a one-of-a-kind gathering that will have people talking for years to come. Perhaps you are looking for a memorable way to celebrate your upcoming nuptials, and want to step outside the box for ideas and intentions. 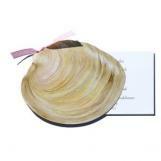 Our luau wedding invitations will help you guide the way. What makes luau parties so special is that they focus on an assortment of vivid colors within the decorations and party favors, plus mix in a more relaxed, beachy-vibe that everyone loves when they are looking to add some tropical feel to the mix. Light some tiki torches, wear your funkiest Hawaiian shirt, and light up the barbecue for an ultimate backyard getaway that will make you feel like you are a million miles from home. 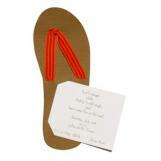 Another great way to incorporate a luau theme into your life is with our ever-popular baby shower luau invitations. Most people are looking for clever and uncommon themes for their big celebrations in life, in order to add some thrill and whimsy to make a normal gathering even more magical. 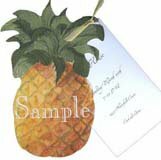 Baby shower luau invites are a special way to transform a regularly planned event and turning it upside down into a party paradise. Whether you have a pool that can be the center of your celebration, or simply a backyard waiting to be turned into a Hawaiian dreamscape, a luau is the perfect way to transform the norm into something incredible. What better theme for a National Night Out Party than a luau-inspired event? National Night Out is an annual neighborhood event which focuses on police-community and camaraderie between neighbors in order to facility a better and more safe space to live. If you are in charge of planning your National Night Out Party this year, then how about throwing a luau? Friends and neighbors can gather together in the community park, feast on some pineapple pulled pork and sip strawberry daiquiris all while supporting each other and having fun. Our Hawaiian luau invitations cannot be rivaled. We feature some of the greatest and most exciting luau invitations around, filled with color and vibrancy, perfect for your next celebratory occasion. Planning a luau party is absolutely a blast, especially with the abundance of luau party supplies and decorations at your disposal. 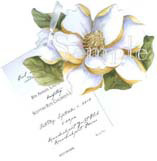 Browse our collection of Hawaiian luau invites and start planning for your most eventful, and monumental, gathering yet.